The GB National Development Squad Selection Event took place at Awesome Walls Sheffield over the weekend and saw 90 competitors come to climb in the event. Below is the list of athletes. Please note, the Development Pathway refers to the 2019 Selection Policy document. If you were unsuccessful this year we hope that you will continue to compete and enjoy your climbing. There are a number of international open events which you can enter as an individual and if you are wanting to experience international competition this would be a great place to gain more experience. The events will be listed when they are confirmed as either ‘open’ or ‘promo events’ on the IFSC Website here. If you would like feedback on your performance at the selection event please email Lucinda@thebmc.co.uk before Friday 23 November 2018. 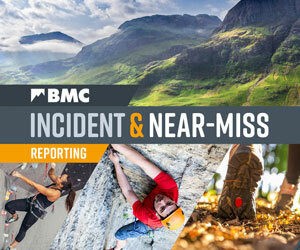 For those athletes who were successful in achieving selection, the BMC will be in touch in the forthcoming weeks with arrangements for the training events next year, once they have been confirmed. Jay Jackson, Ian Dunn, Oz Fry, Juan Avendano, Manuel Rodriguez, Liam Briddon, Jon Redshaw, Susan Dudink and the Mountaiering Scotland Coach and representative is Rachel Carr. Lucinda Whittaker and Tim Cunnington will also be organising and coaching at the events in their roles as BMC Talent Development Coordinators. We'd like to thank everyone involved in this selection event from the volunteers to Awesome Walls Sheffield and our hold suppliers Beta Climbing Designs, Dark Ventures, and Gripz Climbing.